What is a Glass Lantern Slide? J. Horace McFarland (1859-1948) is a compelling historical figure because his life’s work supported many of the movements that shaped the American landscape during the late nineteenth and first half of the twentieth century. He was well-known as an authority on roses, advocate for environmental preservation and the national parks, leader in the City Beautiful Movement, as well as a prolific writer and publisher. As his images in the Archives of American Gardens attest, he was also an avid photographer and used the medium to help convey his civic, aesthetic, and environmental sensibility. 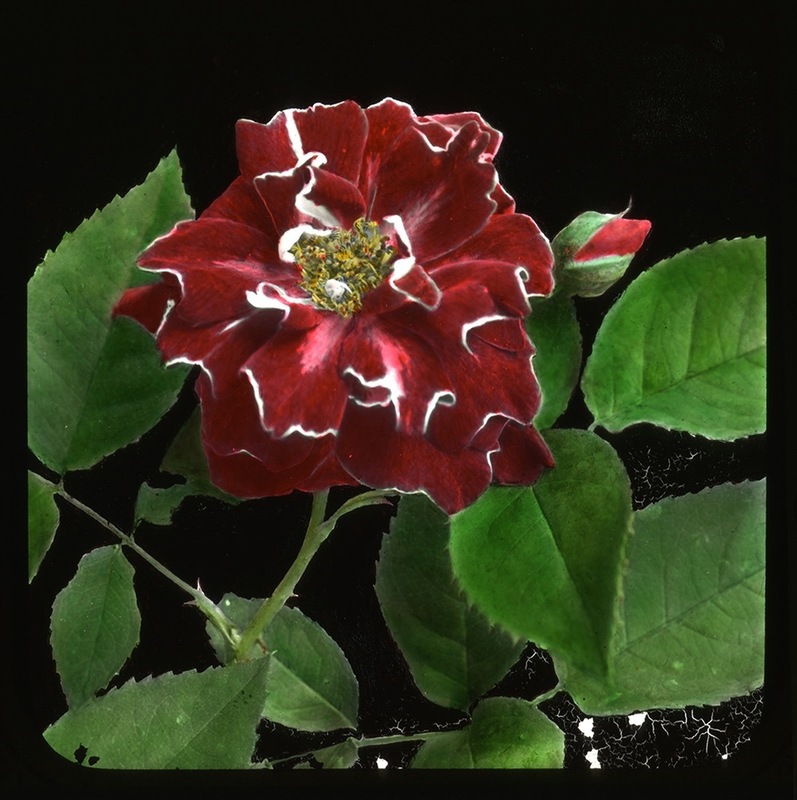 The J. Horace McFarland Company Collection in the Archives of American Gardens includes over 3,200 black and white mounted photographs and 445 glass lantern slides of gardens throughout the United States. This exhibit highlights some of the lantern slides, which McFarland often used for presentations and lectures. Curated by Joe Cialdella, garden scholar and former Smithsonian Enid A. Haupt Fellow. Rose 'Roger Lamberlin,' c. 1930. Smithsonian Institution, Archives of American Gardens, J. Horace McFarland Company Collection.